Every summer Phil Campbell hosts an annual celebration, The Downtown Hoedown (formerly Phil Campbell Day). During this celebration there are rides and games for kids, car shows, and art & crafts. Local bands and singers perform during the evening. 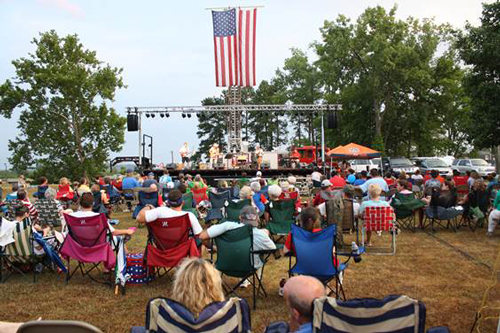 Sloss Lake in Russellville hosts this annual event of food and entertainment to celebrate our nation’s birthday. This special event ends with a spectacular fireworks show! 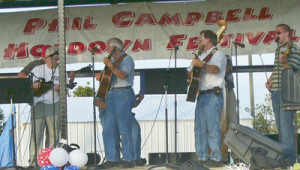 The Town of Vina hosts July Fest every year on the last Saturday of the month. The family-friendly event includes music along with a variety of vendors including great food, and arts & crafts. A number of traditional family summer contests are held like the “Draw Down.” The Draw Down awards the ultimate cash prize of $17,000. The event concludes with a fireworks display. Downtown Russellville is home of the Franklin County Watermelon Festival. It’s a time for a lot of good fun and of course, juicy watermelons that can cool a hot summer day in the South. It began in 1981 and has become a must-do event for thousands. 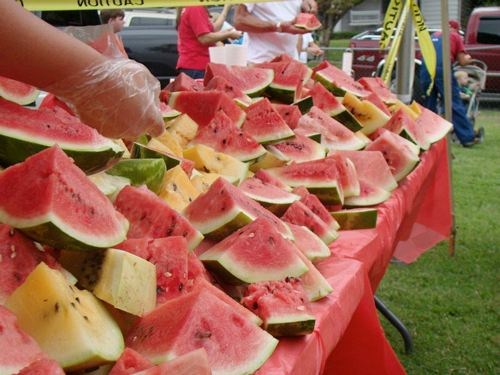 This spectacular family event offers two days of non-stop music, contests and entertainment, as well as, a pageant (held in July), arts & crafts, 5k run, antique car & truck show, tasty festival foods, tractor show, bike ride and lots of free watermelon. Watermelon contests include the largest melon, seed spitting, best tasting melon, best dressed melon, and the most unusual melon. 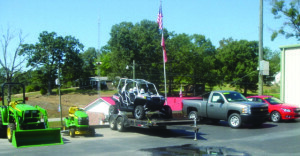 Red Bay celebrates its history during the Founder’s Fest in September. The event is popular among those who crave a family type atmosphere and a lot of fun. Among the festivities are storytelling, music, arts and crafts, food, games, and car and tractor shows. 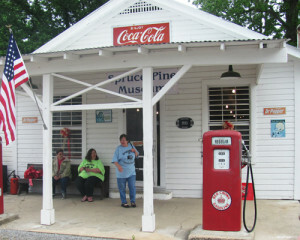 The Red Bay Museum is open and merchants will offer sidewalk sales. A fried pie contest with cash prizes is also featured. There is special entertainment throughout the day, t-shirt, door prizes and more. 9 a.m.-4 p.m. 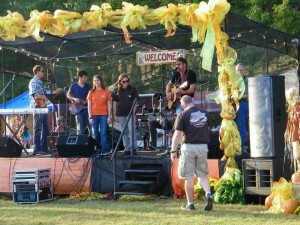 The name “The Spirit of Hodges Festival” takes on special meaning and reflects the town’s history. The Spirit of Hodges was a P-51 Mustang fighter aircraft used in World War II. The plane was named for the town after an auction in which residents of Hodges raised more than $47,000 in war bonds in 1943. The annual event includes an all day line-up of bands, pony rides, fish fry and chicken supper, crafts, miniature train rides, and vendors of all kinds. Spruce Pine Day began in 1999 when the local grocer and post master made chicken stew and invited the community. The tradition of togetherness continues with fun for kids along with music and vendors. While there, visit the Spruce Pine Museum for a history lesson.